Like most of our mornings in our home, we tend to be a little bit chaotic and hectic, my boys are quite laid back and completely loose track of time, So it normally takes lots of reminders to encourage them to get ready, and more often then not it can mean a big rush before our journey to school. I cant tell you how many last minute trips to the loo or lost shoes, and missing homework!!!! Plus as I'm also getting ready for my day at work, there is so much to do so it can be chaos. Nevertheless I always try to be few steps ahead of the boys and have clothes laid out ready to go, But as most of you know..all good plans never always work. We always start the day with a good breakfast, so we were ever so delighted to try Belvita breakfast biscuits. 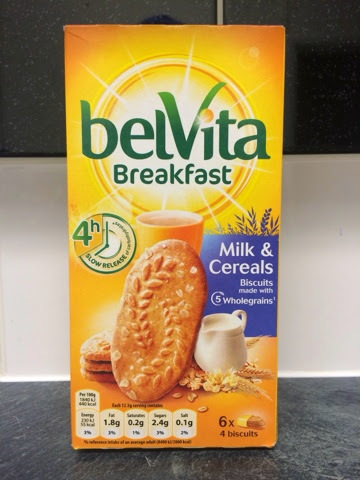 Belivita biscuits are specially designed for breakfast and offer a great breakfast alternative, Belivita come in handy individual packs of four and are rich in cereals,fibre and made with wholegrain and most importantly they contain no colours or preservatives and they taste amazing. 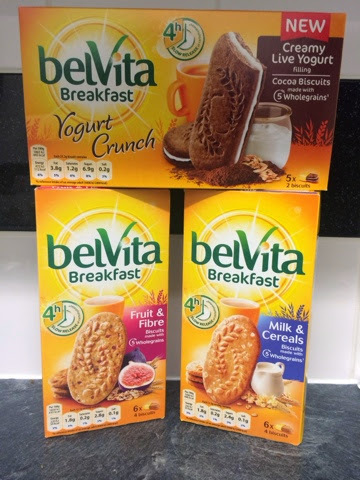 BelVita Breakfast biscuits are the only breakfast biscuits proven to slowly release carbohydrates over four hours as part of a balanced breakfast*. 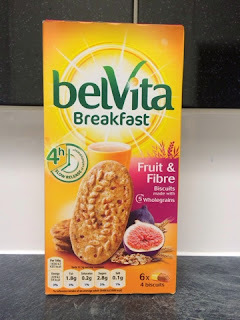 BelVita Breakfast biscuits contains at least five wholegrain, are rich in cereals, are a source of fibre and contain a selection of vitamins and are recommended as part of a balanced breakfast**. We love the Milk & Cereals and have purchased them in the past, I would often carry a couple of packs in my bag when we go on early morning journeys as they are great for on the go, and taste delicious with a cold glass of milk. 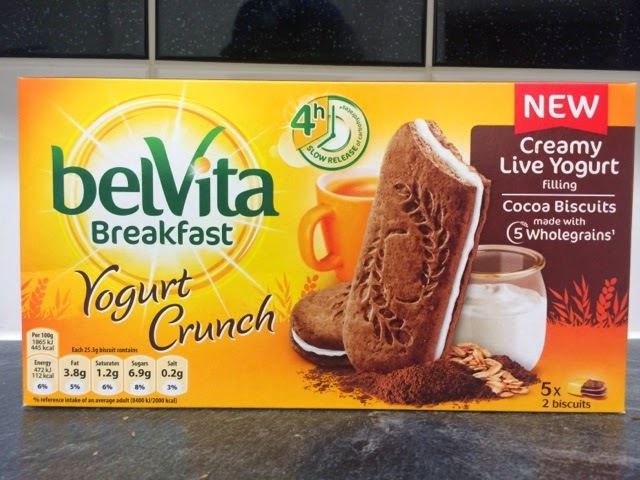 We were very excited to try these New Belvita Yoghurt Crunch - They tasted amazing , I love the cocoa flavour and the very slight tweet tang of the yoghurt delicious, great with a cuppa. The Fruit & Fibre were my sons favourite, He loved the crunchy texture and the fruity bite. 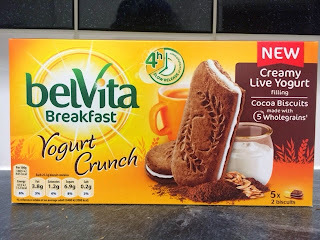 “This post is an entry for #MorningStories Linky Challenge sponsored by belVita Breakfast. Learn more at www.facebook.com/belVitaUK.” and link to www.facebook.com/belVitaUK. *Proven in several clinical studies, as part of a balanced breakfast. 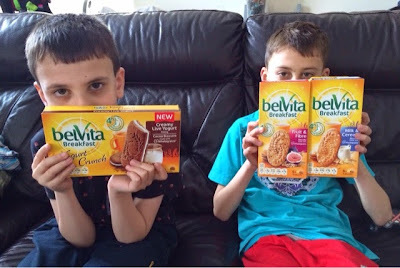 **belVita Breakfast should be enjoyed as part of a balanced breakfast e.g. a serving of belVita Breakfast biscuits, a portion of fruit, a serving of dairy and a drink.